Same title, different theme (heheh). 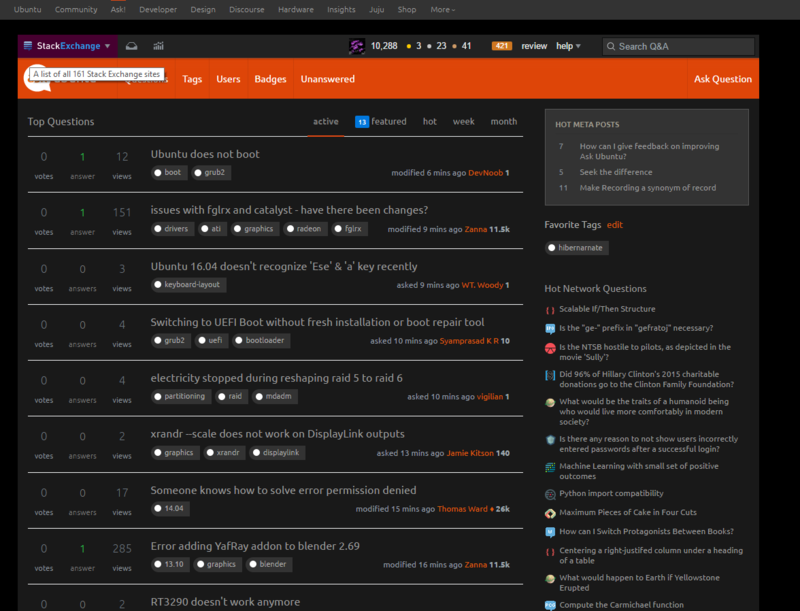 After asking my question Dark Theme for Ask Ubuntu, I realized that it is probably hard to make a new theme, and since no one else seemed interested, I was probably one of few who needed the feature. Because of this, I've made my own userscript that injects a CSS file which overwrites certain color values on AU, turning the site dark. (Doing this, I can see how difficult it is to change everything :P). Right now, this isn't only for Ask Ubuntu, as it works here, on SO and on SEChat. I'm hoping to be able to make it for more sites eventually, or maybe even get some others to work on it too. I'm not posting this on MetaSE yet, because it's terrifying over there ;). If you're interested, check out the GitHub repo. The project is far from complete, even on the sites currently available. If you find something, it'd be great if you could either report on GH or submit a pull request with your own fix. This post is to serve as an introduction for Ask Ubuntu. I have also posted on MetaSE, including all currently supported sites. There are Extensions you can add to your browser that will allow you to have a dark theme. As of right now, I am using Chrome with the "Hacker Vision" extension.